Professor Richard Nelson Frye is an American scholar of Iranian and Central Asian Studies, and Aga Khan Professor Emeritus of Iranian Studies at Harvard University. 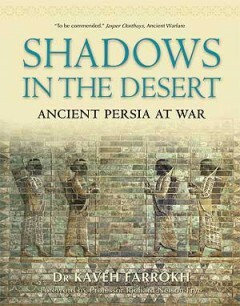 He has researched the history and culture of Iran for over six decades. His professional areas of interest are Iranian philology, and the history of Iran and Central Asia before 1000 BC. He founded the Center for Middle Eastern Studies at Harvard, the first Iranian studies program in America, and has written many books on the subject including Persia (1962), The Heritage of Persia (1968), The Golden Age of Persia (1977) The Heritage of Central Asia (1996). He was editor for the fourth volume of The Cambridge History of Iran.